Lynne Featherstone MP on Wednesday visited the London Centre for Children with Cerebral Palsy. The specialist centre is also an independent school for children with cerebral palsy and associated impairments. Pupils come from across London and beyond. The team are currently fundraising so that they can open a new centre in Muswell Hill. The MP for Hornsey and Wood Green was given a tour of the centre, meeting children in a number of different classes. Some classes teach children coordination skills, where they practise balance. One of the children demonstrated how she’d recently learnt to sit, unaided, on a stall. In other classes, the children were learning cooking skills, like preparing dough. The Lib Dem MP visited alongside former councillor David Schmitz, who is running the London Marathon on April 26th, to raise money for the centre. “The visit to the Centre was very moving. You can tell that the pupils are making real progress, and that’s down to the hard work of the staff at the centre. “With the fundraising work they’re doing – and with help from marathon runners like David Schmitz – I am confident that they’ll meet their targets. 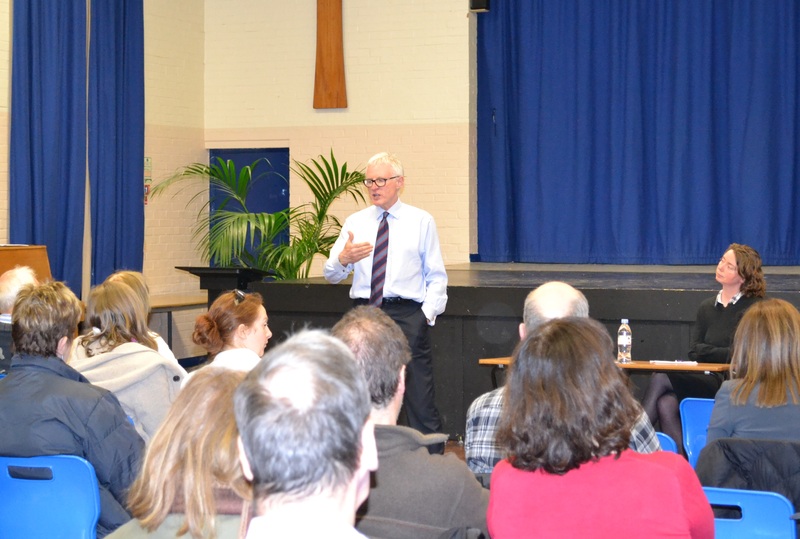 Health Minister Norman Lamb addressed over 50 local residents last night at a public meeting organised by local MP Lynne Featherstone. The Minister for Care and Support then took questions from the audience – and addressed concerns about private providers and NHS funding. The rate of NHS privatisation has slowed drastically under the Coalition Government. In the last four years of Labour’s Government, 4.4% of the NHS was contracted out to private providers. The Liberal Democrats are the only party who have pledged an extra £8 billion a year for our NHS by 2020, in line with what the Chief Executive of NHS England says is needed. “All of us are really proud of our NHS – and we have all benefitted from it at some point in our lives, and it absolutely must stay free at the point of delivery. “To ensure this, the NHS needs funding. That’s why the NHS budget was exempt from cuts during this parliament, and why the Lib Dems have pledged an extra £8 billion in funding if we’re back in Government. 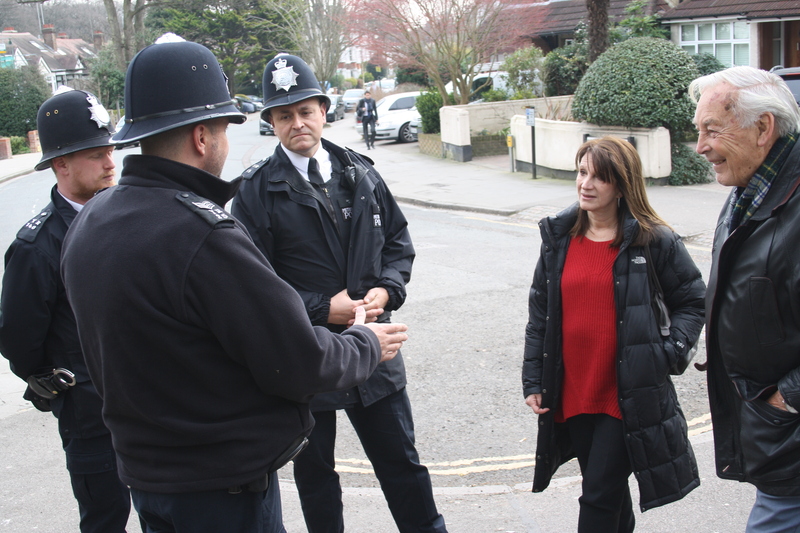 Lynne Featherstone MP joined two policemen and a neighbourhood watch representative on a local walk in Crouch End. They discussed tackling burglary and vehicle crime in the local area, as well as preventative measures to deter anti-social behaviour and crimes against the person. Crime in Haringey has fallen in the last five years. Crime across the country has also dropped drastically – last year reaching its lowest level in 33 years. 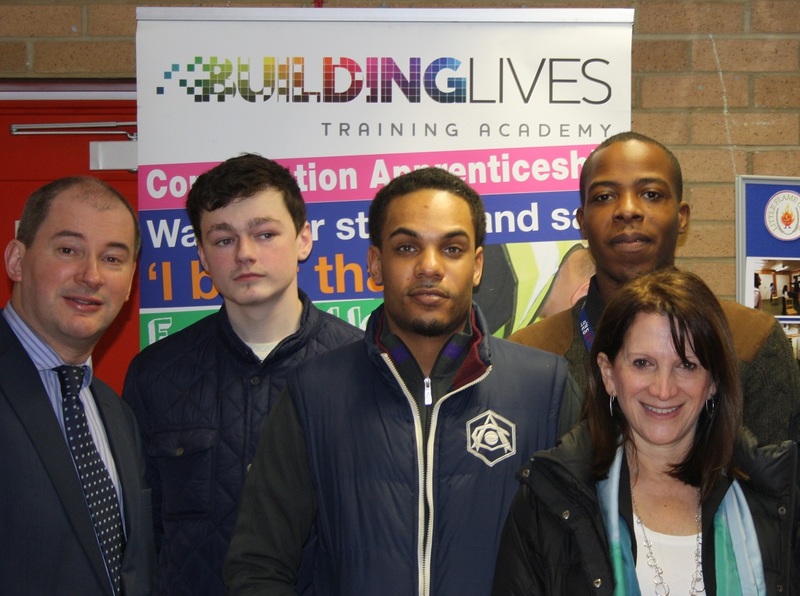 New police recruits are also due to come to Haringey as part of a mentoring programme. “The fall in crime in Haringey and across the UK is really welcome news – but there is still much more to be done, particularly on violent crimes and crimes against the person. Health Minister Norman Lamb MP will attend a local public meeting tomorrow, to discuss NHS funding, mental health services, integrated care and more. The meeting – which has been arranged by local Liberal Democrat MP Lynne Featherstone – will take place from 7.15pm – 8.30pm at Greig City Academy – with doors opening at 7pm. Local residents will have the chance to raise questions with the Minister. Improved services across the NHS, with 6,000 more doctors, lower waiting times and cancer drugs for 30,000 people. Taken mental health seriously, putting £400m extra into early support. Introduced the first ever cap on the cost of social care, so people don’t have to sell their home to pay for their care. The Liberal Democrats are the only party to have pledged an extra £8bn in NHS funding if they are in Government after May. “Liberal Democrats believe that the NHS should always remain free at the point of delivery. In Government, Norman Lamb and his team have protected the NHS budget and put mental health on the agenda. “I’m very much looking forward to welcoming Norman to the constituency, and hearing about the work he has done to protect the NHS, improve social care, and to ensure that mental health is on the same platform as physical health. Lynne Featherstone MP on Saturday took part in a march organised by Unite Against Fascism (UAF). Over 10,000 people in total took to the streets in central London to stand up to racism and hate crime. 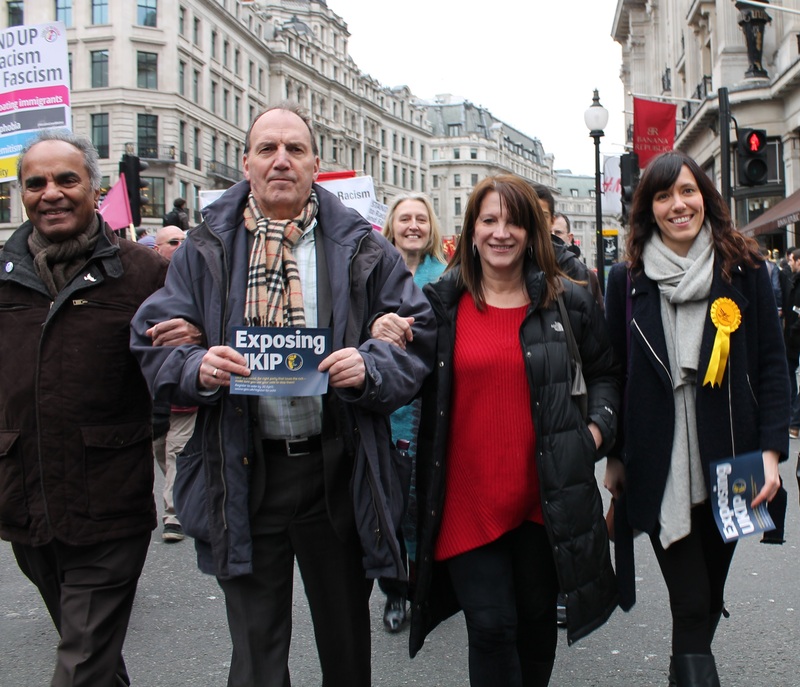 The Liberal Democrat MP was joined at the march by members of the ‘Ethnic Minority Lib Dem’ group and the Justice Minister, Simon Hughes MP. The MP for Hornsey and Wood Green is currently spearheading a local campaign to promote unity between different communities and search for solutions to radicalisation and hate crime. Alongside marching with UAF, the local MP has visited local Mosques, Synagogues, community groups, youth groups and more to start conversations and encourage community cohesion in the face of events like the Charlie Hebdo attacks. “In a truly fair society, no-one should be discriminated against or attacked because of their race or religion. It is so upsetting to hear reports of further attacks on synagogues, and to hear from local Muslim women that they do not feel safe. “That’s why I joined the March on Saturday to stand up to racism – and why I’m pushing the agenda in my constituency of Hornsey and Wood Green. Working people in Haringey will benefit from a £905 income tax cut by 2018, thanks to a flagship Liberal Democrat policy announced during the Budget yesterday. The Budget included Lib Dem plans to raise the tax-free personal allowance yet again to £10,800 in 2016/17 and £11,000 a year later. In London these Liberal Democrat measures will lift at least 502,000 out of income tax altogether. The Liberal Democrat’s 2015 manifesto includes measures to go further with a commitment to raise the tax-free to £12,500 by the end of the next parliament. “This further income tax cut is the real budget boost for working people and takes even more of the lowest-paid and part-time workers out of income tax altogether. “The Liberal Democrats are the one party to put these tax cuts on the front page of its manifesto and deliver them – helping low and middle income families across Britain. “This is a Lib Dem policy and has been the most important and effective policy of this Government – reducing the tax bills of millions and millions of ordinary workers. “Labour can’t build a strong enough economy to enable these kind of tax cuts. And the Conservatives wouldn’t have brought this in on their own. 2,300 workers in Haringey will see a boost to their pay packet from October this year, thanks to Liberal Democrats in government. The National Minimum Wage is set to rise by three per cent, which means workers will get a new rate of £6.70 an hour. It is the largest real-terms increase in the National Minimum Wage since 2008, and over 1.4 million UK workers are set to benefit. Lynne Featherstone MP said: “Thousands of people in Haringey have already felt the benefit of Lib Dem income tax cuts, and the increase in National Minimum Wage is another step in the right direction. Deputy Prime Minister and Lib Dem leader Nick Clegg has also announced the National Minimum Wage for apprentices will increase by 57p an hour. Nick Clegg said: “This is just one of the many ways in which we have created a fairer society while building a stronger economy.